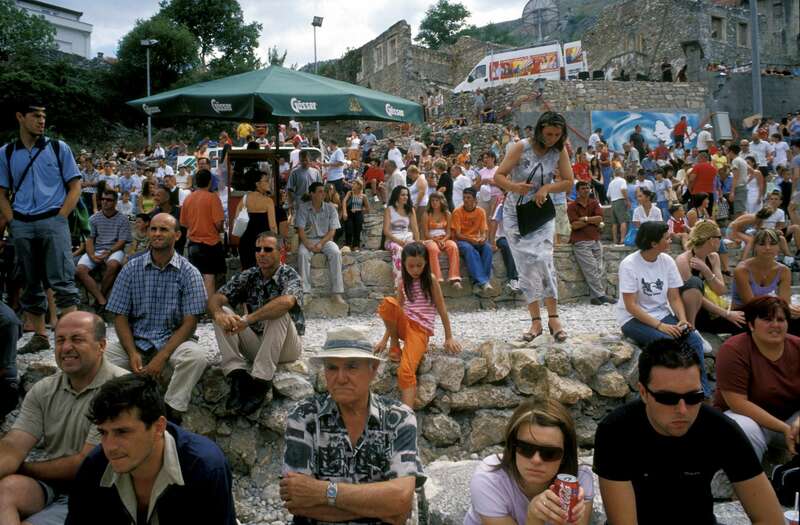 Crowds line the banks of the Neretva River, waiting for what locals say is the 448th annual jumping and diving competition. Local youth have proved their athletic prowess on the more than eighty-foot-high bridge for centuries. Even during the 1992-95 war, when the original bridge was destroyed, they continued to jump from the side of where the old bridge once stood.